This September Nomad Cinema sets up the big screen amongst the colonnades and catacombs of Brompton Cemetery for a trio of shadowy screenings. It starts with the 1931 cinematic version of Mary Shelley's Frankenstein in the year of the 200th anniversary of the publication of the book. Hitchcock's adaptation of Daphne du Maurier's Rebecca, starring Laurence Olivier and Joan Fontaine, follows. Finally, on the Friday night, the 2011 film of Charlotte Bronte's Jane Eyre, with Judi Dench as the housekeeper, Mrs Fairfax, is shown in atmospheric cemetery. Each of the three screenings will be introduced with a five minute reading from the source novel. You're welcome to BYO picnic and/or enjoy the catering on site but note: there are no alcoholic drinks for sale so bring your own but only in plastic bottles or cans - no glass is permitted. Enter via Old Brompton Road North Gate. What are the best dining options near Nomad Cinema: Brompton Cemetery London? Nomad Cinema: Brompton Cemetery gyms, sporting activities, health & beauty and fitness. The best pubs near London Nomad Cinema: Brompton Cemetery. 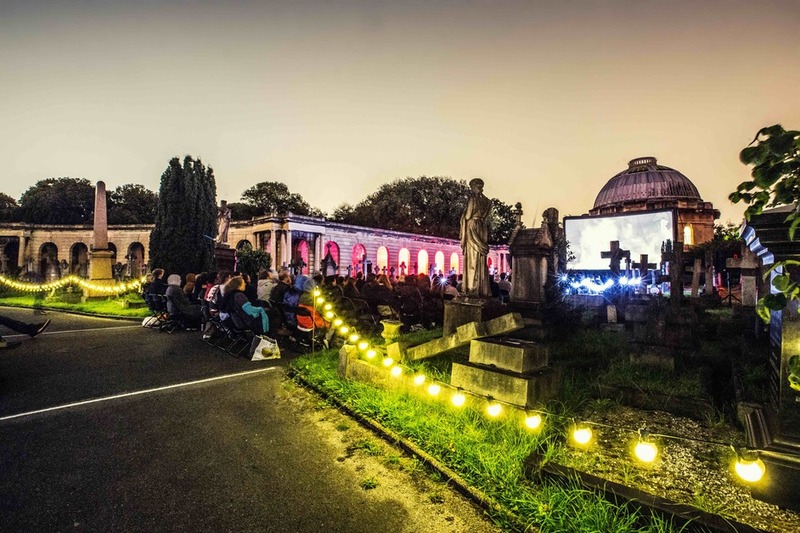 Nomad Cinema: Brompton Cemetery clubs, bars, cabaret nights, casinos and interesting nightlife. Where to have your meeting, conference, exhibition, private dining or training course near Nomad Cinema: Brompton Cemetery. From cheap budget accommodation to luxury 5 star hotels see our deals for Brompton Cemetery hotels, including Blakes Hotel London from 78% off.